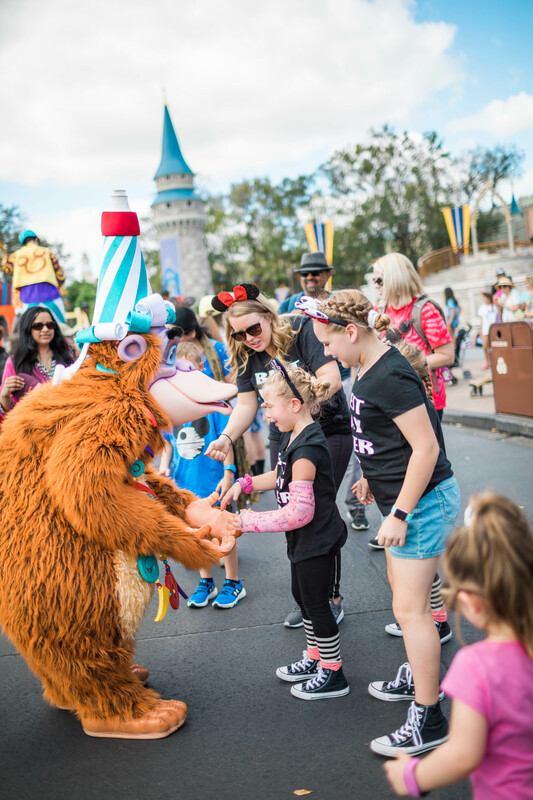 These DIY Disney Shirts for Families are perfect for your next Disney vacation! Free Cricut cut file provided! 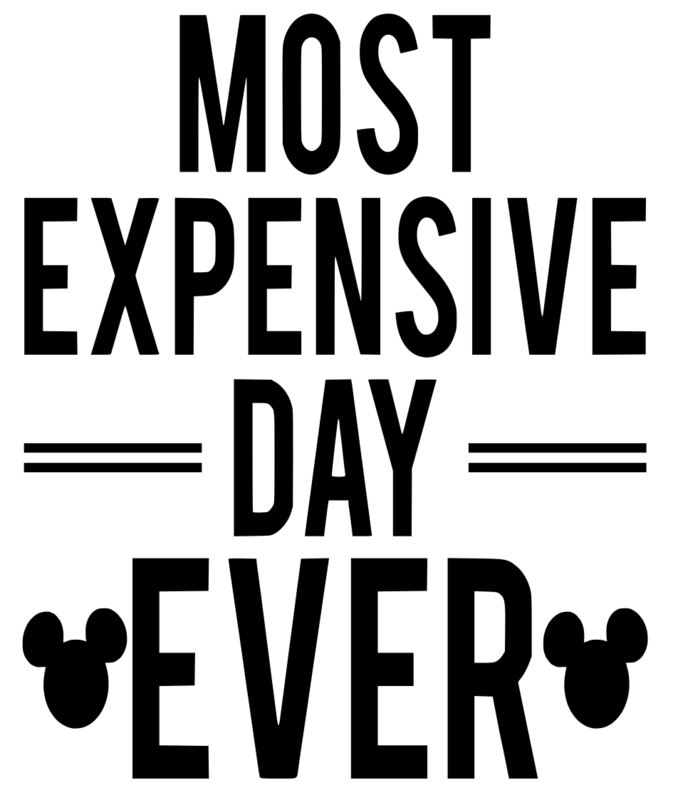 I could literally spend all of my days at Disney (I’m sure you have figured that out already)! But, one of the things I love about going on a Disney vacation starts before we leave the house…planning our outfits. 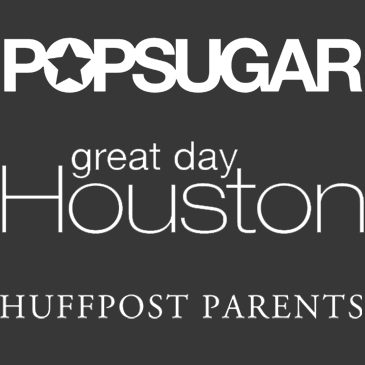 Yes, I am one of THOSE Moms and I embrace it fully! I do not make my family match often but when we are at Disney, it is definitely a necessity. 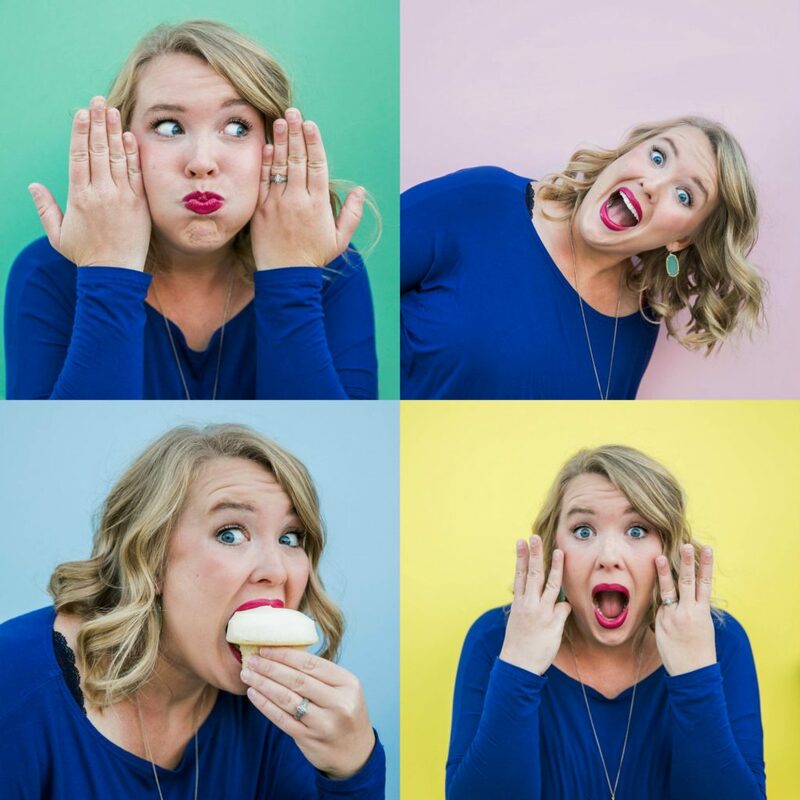 Once our itinerary is set and ready to go, I get to planning our outfits! I do my best to match or create our Disney wardrobe around the parks we will be at and the theme of the parks. 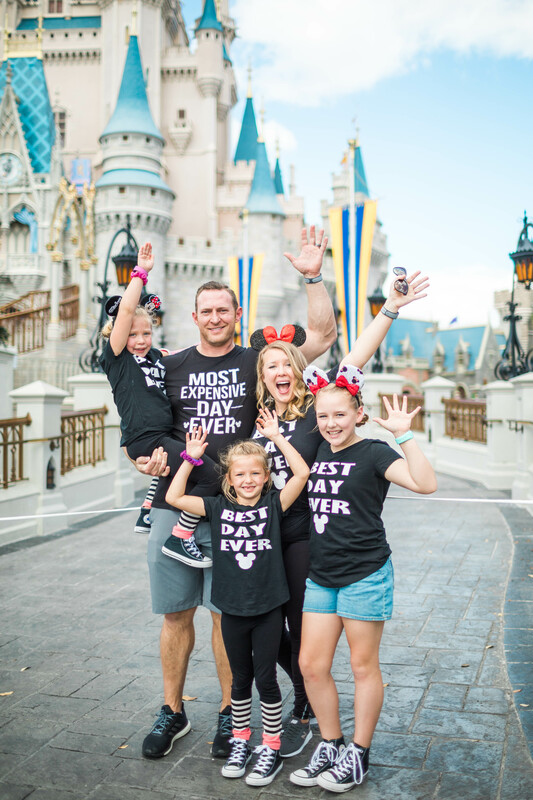 But this year, we came up with the Best DIY Disney Shirt for Families EVER! 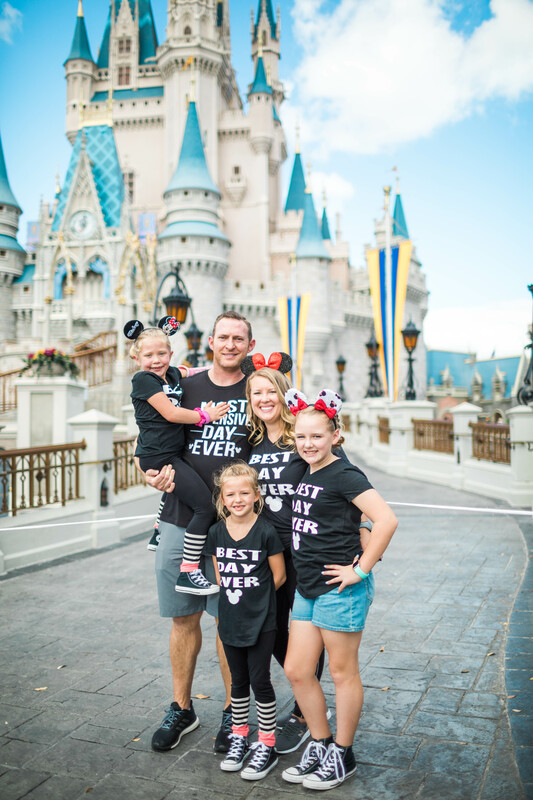 As you know, we went to Disney World and on the Disney Cruise with #DisneySMMC and spent a total of 9 days living our best Disney life. While we were there, we spent our first day at Magic Kingdom and wore these shirts. You would have thought we were celebrities walking around. We were stopped all over the park! People stopped us wanting to take pictures of our shirts, my husband was given a years worth of handshakes from other dads and we got tons of laughs and congratulations on the best Disney shirts ever! As a matter of fact, after sharing this shirt so many of you have asked me where you can find them or how you can make your own! Well, today is your lucky day. 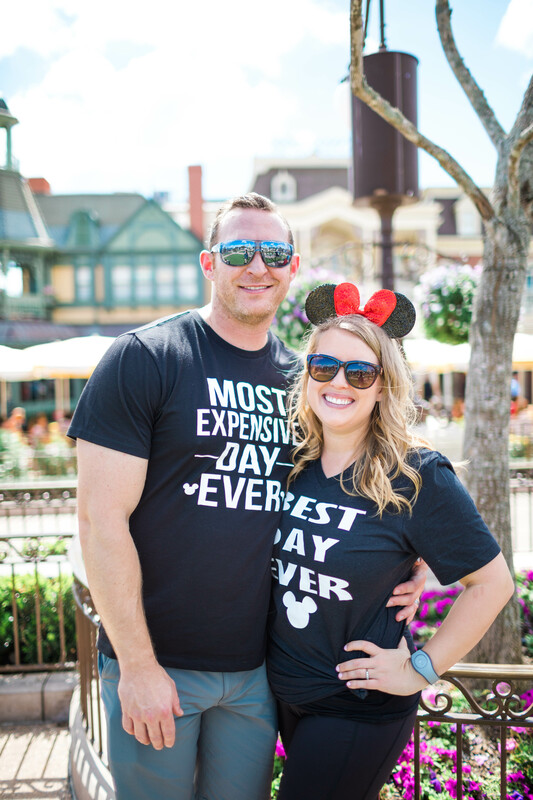 I present to you the Best Day Ever and Most Expensive Day Ever Disney shirts. 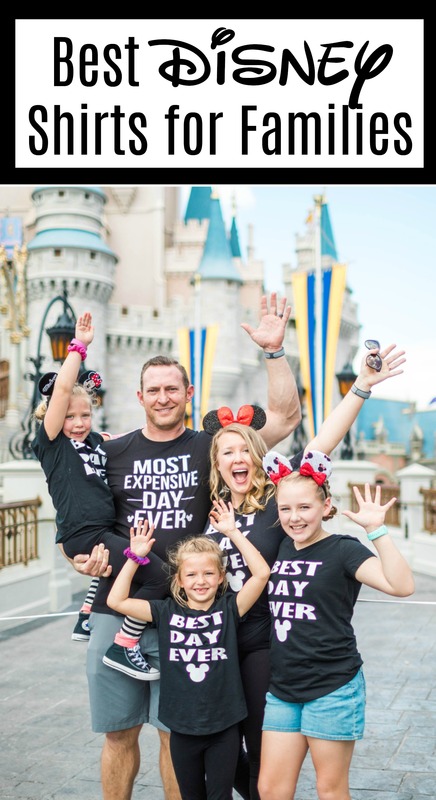 These really are the Best DIY Disney Family Shirts EVER! Just look at this cuteness! I loved that we decided to make this a black shirt. Yes, it can be boiling hot at Disney and black is hot but I loved the black and white pattern. Of course, these shirts would be super cute in any color. We used a Silhouette Cameo to create this shirt but, with the zip file below you can also use a Cricut. Here are the files you need to create your own! T-shirt of Choice- I always love the v-neck t-shirts from Target! If you are loving these shirts as much as I do but don’t want to make them yourself, head on over to Southern Salt Boutique and have my friend Samantha send them your way! 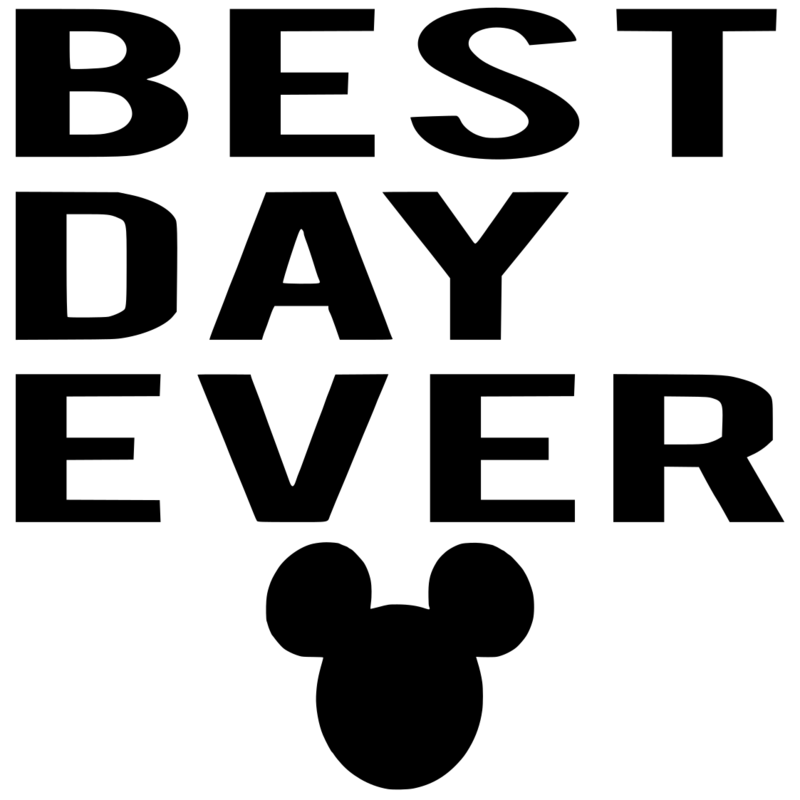 Here are the links to the shirts Best Day Ever and Most Expensive Day Ever. Sam is amazing and creates some of the cutest shirts ever! We will be wearing these shirts every time we head to Disney. I cannot get enough of them! I hope these shirts are as much of a hit for you. And you know what Moms, this is a matching shirt most dads are more than willing to wear! If you love this idea and want to save it for later, don’t forget to pin it! Also, thank you to the always amazing Faison Anne Photography for snapping pictures of my family that I will treasure forever! I’m making shirts for our trip later this year. So far, I have one with Elsa saying, “I don’t do matching shirts.” My granddaughter has Olaf and “I do!” Grandson has Darth Vader and “I do, too!” It’s all in the Disney font. How fun! You guys are going to have a blast. I love all of your shirt ideas. Thank you. I’ve found it’s cheaper to make “souvenirs” than to buy them lol. You have to have a breakfast reservation for an early breakfast before park opens so they let you in ahead of everyone else and go straight to castle and take your pics then go to breakfast. Crystal Palace is a character breakfast and is closest to the castle too.